Fuji X-Pro 1 - Silkypix - is it any good? 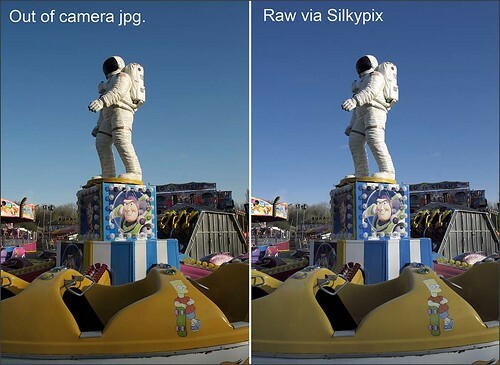 Silkypix seem to have got themselves the contract to provide bundled raw processing software for several camera brands. Panasonic, Pentax and now Fuji are ones that I know of. There is talk that Adobe and Fuji have reached some impasse in Adobe Camera Raw providing support for the X-Pro 1, and hopefully that has been resolved. 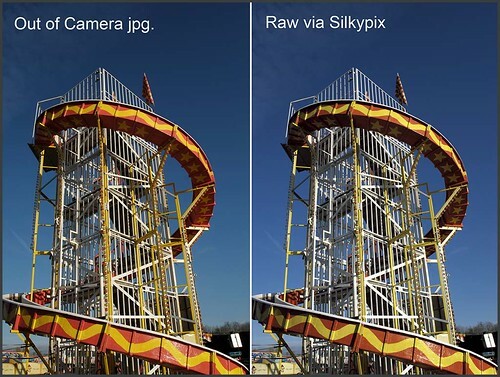 However, if it hasn't been, or if this support is delayed, we may all be stuck with Silkypix for a while. I've actually always quite liked it. Its relatively simple, and I've found nothing that causes me frustration. It doesn't have the finesse and subtlety that Abobe provides, but for the most part it does the job. It slows down my workflow, which is why I'm not keen on it, and the X-Pro 1 jpgs. are so good, I've been ignoring it somewhat. My preference has always been for fairly simple conversions anyway, and it works OK for that. I'm not convinced by the sharpening parameters and I haven't really been able to get out what I suspect is lurking in these Fuji files in terms of sharpness. However, I'm not convinced that its quite as bad as some make out. Having said that the sooner I get Photoshop / ACR support for these files, the happier I will be. These below are using the "Fine street" preset plus a bit of tweaking. The files are a marginal improvement on the jpgs. in terms of balance, but virtually no difference in sharpness.